As Vic eluded to earlier, I also had a tree accepted for display at the 3rd US National Bonsai Exhibition in Rochester, NY. During the last moments of deciding what to send with the tree and the flurry of things that needed to be done, I made some last minute changes. The original companion to be sent with the tree was a collection of mosses that I had picked up on a trip into the mountains in years past. It has a wonderful sense of freshness that reminds me of the crisp clean alpine air. It came up in discussion that the companion might be messing up the visual weight of the composition. 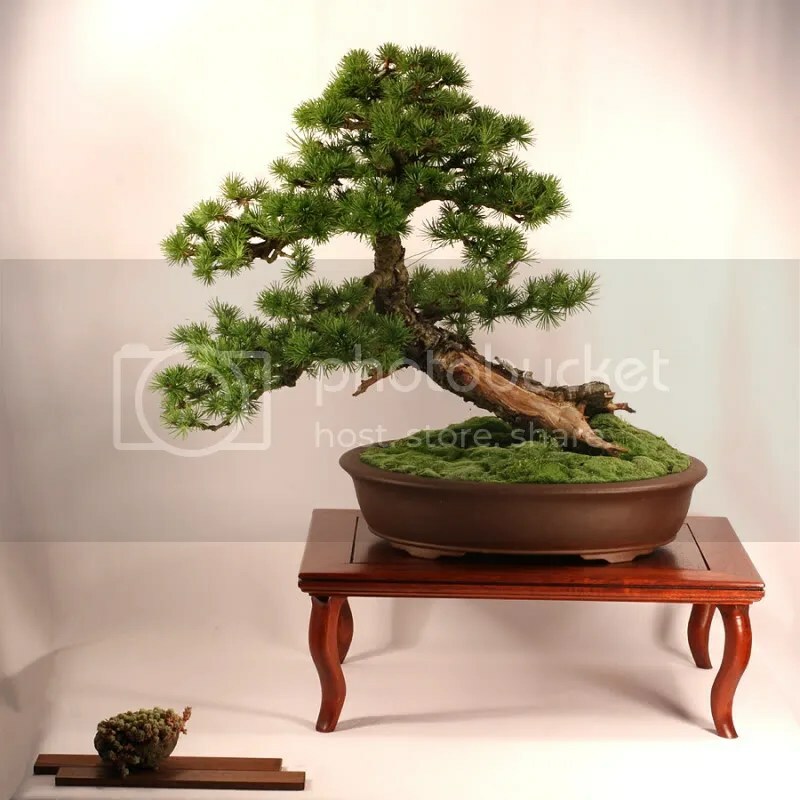 In the below image the companion is placed too close to the tree, however this is due to the size of the table the backdrop is on. The companion I ended up sending was one I had decided not to send before, believing that I would prefer the moss. It however offers a break in the display and ultimately I prefer it. I hope you enjoy the display and I look forward to hearing from anyone who is there about how it looks all setup and in place. 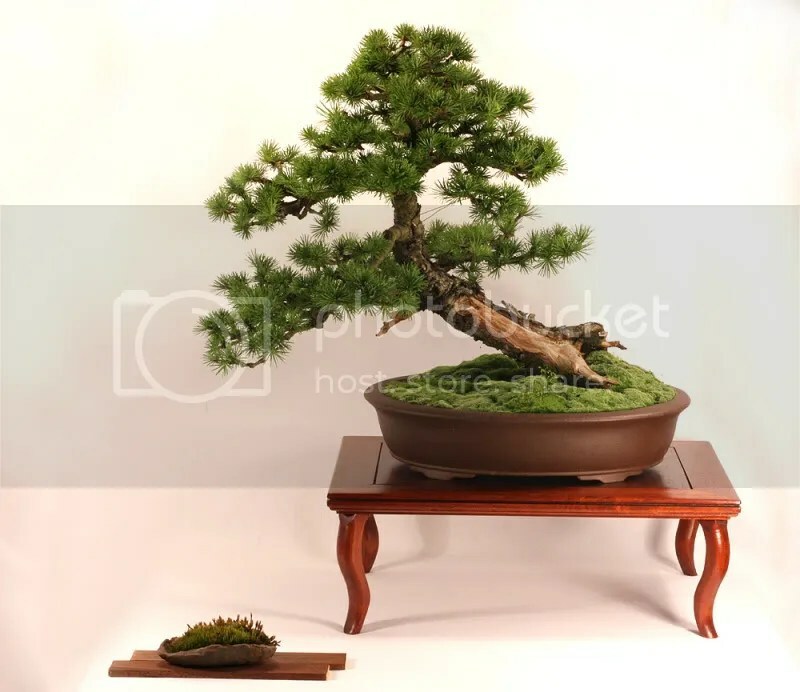 This entry was posted in Bonsai, Deadwood, Design, Display, Photography, Progression, Uncategorized and tagged bonsai, bonsai display, bonsai styling, focal point bonsai, larch, Larix, stand, USNBE by ang3lfir3. Bookmark the permalink.